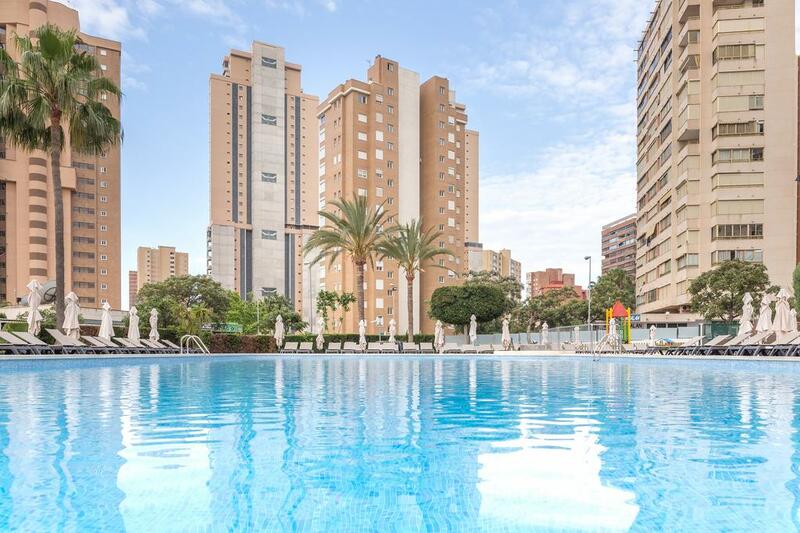 Sandos Benidorm Suites (ex Marconfort Suites) in Benidorm has 200 rooms and was renovated in 2014. The hotel is located 700 m from the sandy beach. 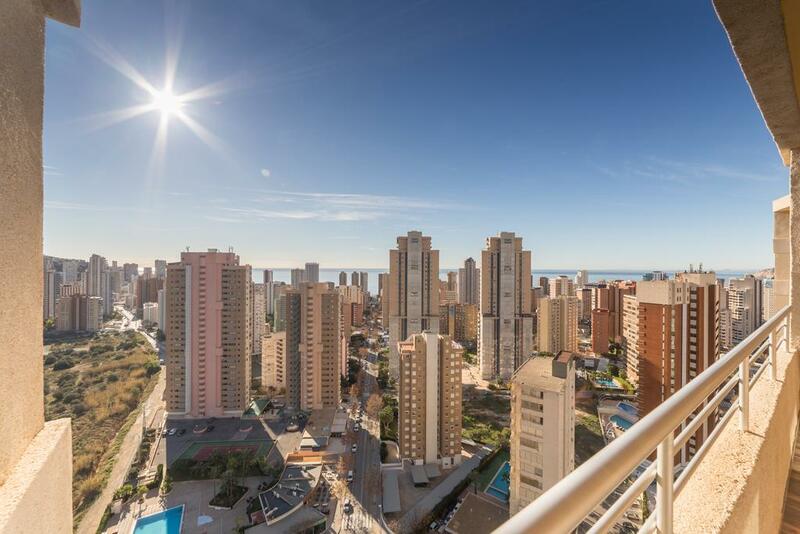 The closest cities to the hotel are Calpe (24 km) and Altea (12 km). Other cities: Alicante (50 km). To make your stay more comfortable 4 elevators, a reception, a lobby and air conditioning are available. The staff in this 25 storey hotel speaks German, French, English and Spanish. A playground for children is available. The hotel features a swimming pool. A poolside bar is on site at the hotel where guests can unwind with a drink. Sunshades and sunbeds are available for an additional fee at the beach and free of charge at the pool. 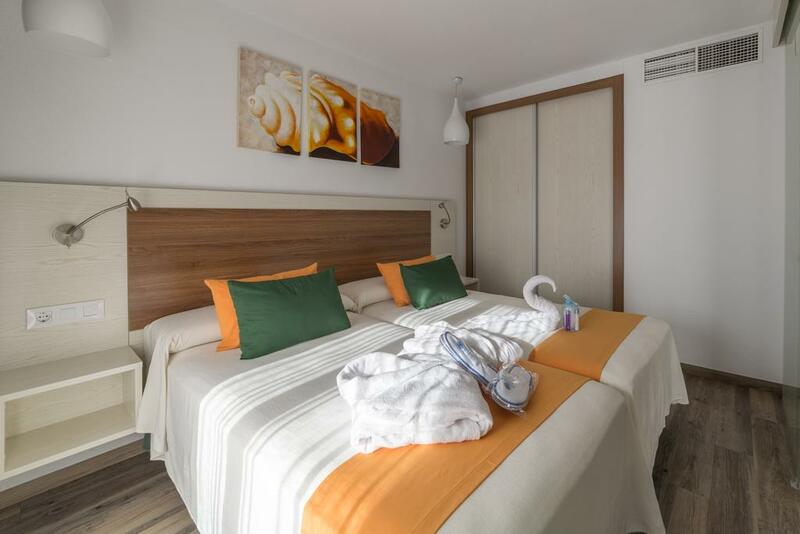 The hotel is within easy reach of bus stops, medical services, disco, bars and restaurants, city centre, supermarkets and taxi stands. Distance from the hotel to: shops (7 km), airport MJV (143 km), Terra Mitica (7 km), airport ALC (58 km), Terra Natura (6 km), Aqualandia (3 km) and tourist information (600 km). For your entertainment the hotel features a TV lounge. Vehicles may be parked in the parking lot. For convenience the hotel offers medical care and currency exchange. Internet access is provided at wifi-hotspots. This family friendly hotel offers a children's pool and child animation to ensure a comfortable stay for parents as well as young guests. Reception hours: 24h Service. 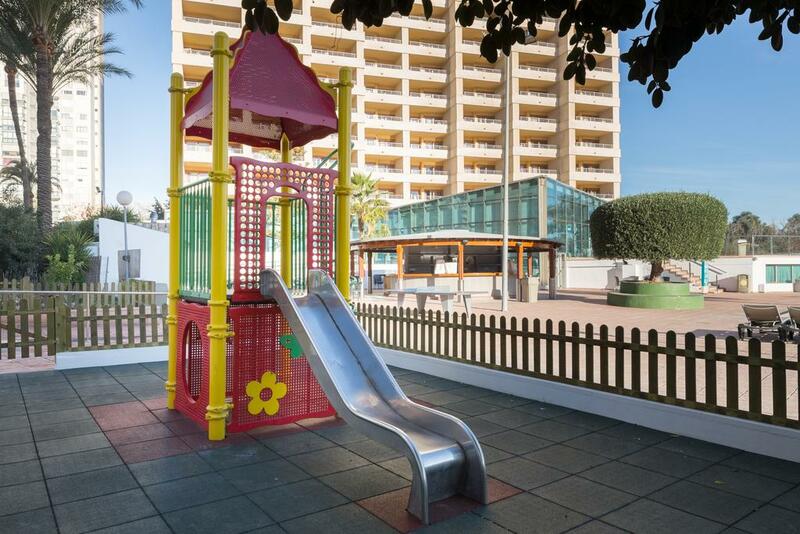 A variety of activities are provided by the hotel such as animation programmes, billiards, table tennis, darts and a game room. Guests who wish to be active on holiday can enjoy activities such as exercise in the fitness room. Golfers have the opportunity to play at the nearest golf course which is 5 km from the hotel. Payment facilities include Euro/Master Card, Visa Card and American Express. Additional fees may apply for certain facilities, amenities or activities. * The hotel concept is based on music of the 70s, 80s and 90s. This topic is visible in the hotel furnishing, the entertainment program and gastronomical offer. * Groups are on request. * Stag and hen party groups are not permitted. * Restaurant Khas Mahal, Indian food (one dinner every 5 nights included, only opened in the evening) (opening on 15 th March 2016).